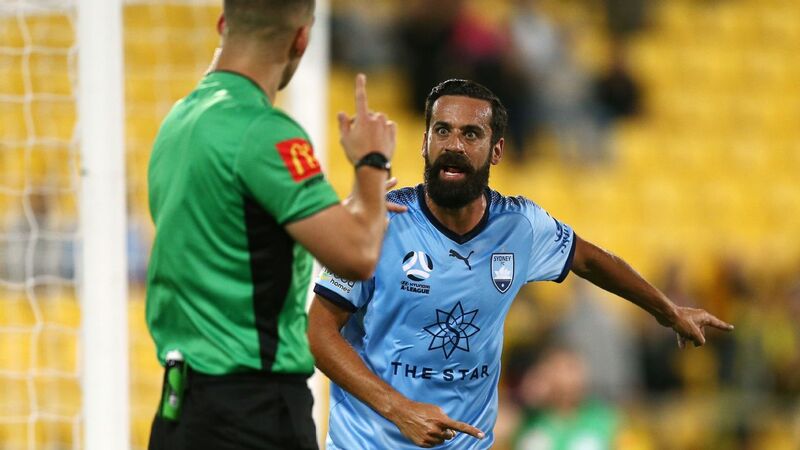 Western Sydney coach Markus Babbel has had another dig at his team, accusing them of lacking hunger after losing another derby to Sydney FC. 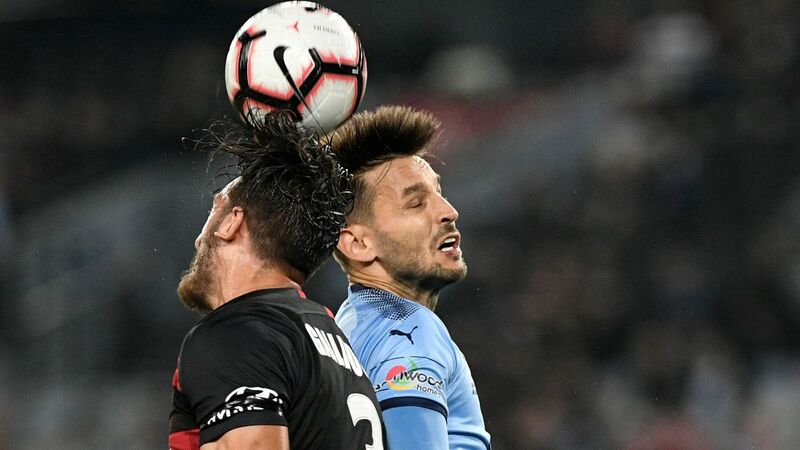 The Wanderers appeared set for a rare derby win when they led by a goal courtesy of Oriol Riera's early tap-in at ANZ Stadium on Saturday night. However, a brain snap from goalkeeper Vedran Janjetovic drew a red card and from there Western Sydney capitulated to a predictable 3-1 defeat. The former German international was more upset with the fashion in which they conceded their goals, both of which came from set pieces and suggested a frail mentality is instilled in their current DNA. "I'm very angry today," he said. "We did too many mistakes. We conceded in the second half two set pieces. For me, it's not acceptable. Sorry. "If someone is shooting from 25 metres and top corner, okay I have to accept this. "But two set pieces, it is me or him. And I'm a man down. Believe me, you never will get the ball. Never, ever. But this is the DNA in this team. "We are not hungry in this moment. We don't see the danger in this moment. [So] we don't have to be surprised if you lose this game, because this is a good side." Janjetovic was sent off for handling the ball outside the box, which came after needlessly attempting to put field a long ball only to miscue his run. 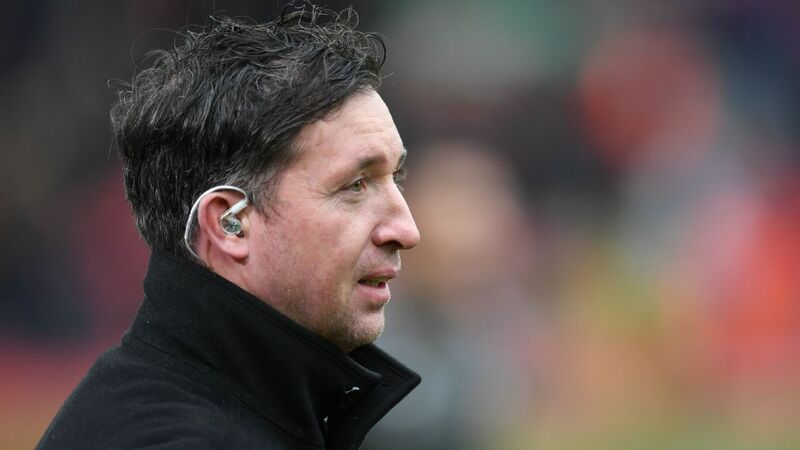 "I hadn't had a good feeling at this moment because we make three mistakes in one action," Babbel said. "And this is very hard because until this situation we were good in the game. We created good chances, we scored, but it wasn't the best idea from [Vedran]. "If he comes, he has to talk to Patrick [Ziegler]. Maybe he leaves, then you can get the ball but both come together. "And the third mistake he uses his hands. He also has to know there's someone on the line." Babbel defended his decision to sacrifice star Alex Baumjohann, arguably their best player so far this season, to bring on debutant goalkeeper Danijel Nizic. "Alex is a fantastic footballer and I feel really really sad for him because he's one of our best players," he said. "But in this moment, for me it was clear we need legs now and we have to defend more than to attack. "And Alex is a fantastic player offensive-wise, but defensive is not his biggest strength, so I have to make that decision."